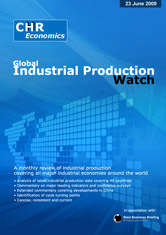 Global IP Watch has been designed to provide producers and consumers of industrial raw materials with an up-to-date assessment of industrial activity around the world. By focussing on the latest data, readers are alerted immediately to changes in sentiment and rates of growth, pinpointing turning points in the industrial business cycle. While medium to longer-term forecasts are modelled on developments observed in earlier cycles, it is recognised that each cycle has its own characteristics. By closely monitoring the key factors influencing growth, it is possible to modify forecasts in a timely manner providing the earliest possible warning of changes in the rate of global growth. 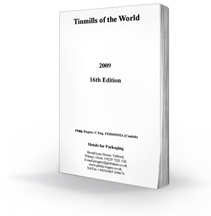 SBB's Tinmills of the World 2010 is the only directory available which lists all the world's mills. The global economic downturn has changed the tin industry drastically over the last year. This report provides a comprehensive overview of the tin industry including future investment plans to help you navigate through the changing markets. 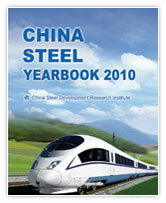 SBB is proud to bring you theCHINA STEEL YEARBOOK 2010. A bestseller for over 20 years in Chinese and now published in English for the fourth year, this book is the Bible for analysis of China’s steel industry. 354 pages, 94 figures & tables and 49 mill profiles.